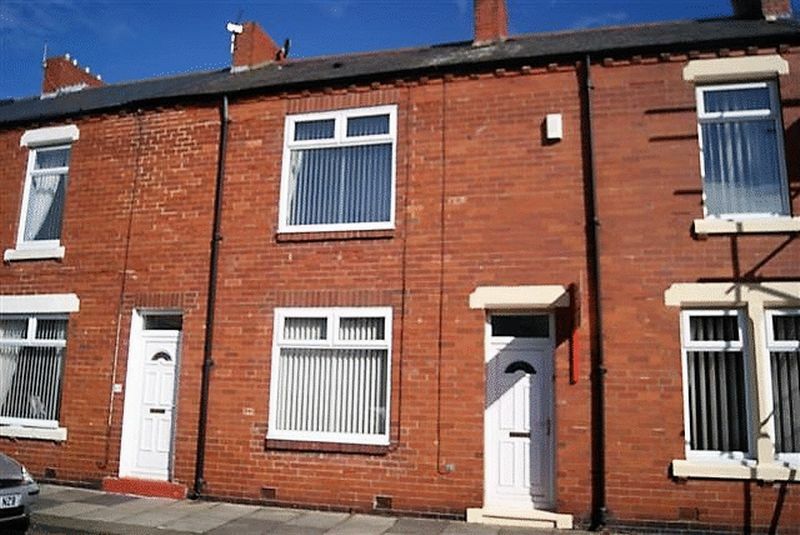 A well maintained and well proportioned mid terraced house conveniently situated for access to a wide range of local amenities including the Town Centre, public transport and road links to nearby Centre’s. the accommodation briefly comprises; an entrance lobby, lounge to the front, inner hallway, breakfasting kitchen, two good sized bedrooms and combined bathroom/WC. 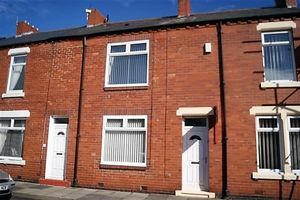 There is a small yard to the rear and the property benefits from gas fired central heating together with UPVC double glazing and it offers a good standard of decoration and fitting generally throughout. Living flame coal gas fire set in a decorative surround, central heating radiator, TV point and UPVC double glazed window. under stair cupboard and UPVC door leading to the rear. Fitted with wall and floor units, stainless steel sink and draining board, plumbed for automatic washing machine, electric cooker point, ceramic tiling above worktops, central heating radiator and UPVC double glazed window. Two double built in wardrobes with sliding doors, built in cupboard, central heating radiator and UPVC double glazed window. Fitted with a three piece suite of panelled bath with main fed shower over, pedestal wash hand basin, low level WC, ceramic tiling around bath, central heating radiator and UPVC double glazed window.